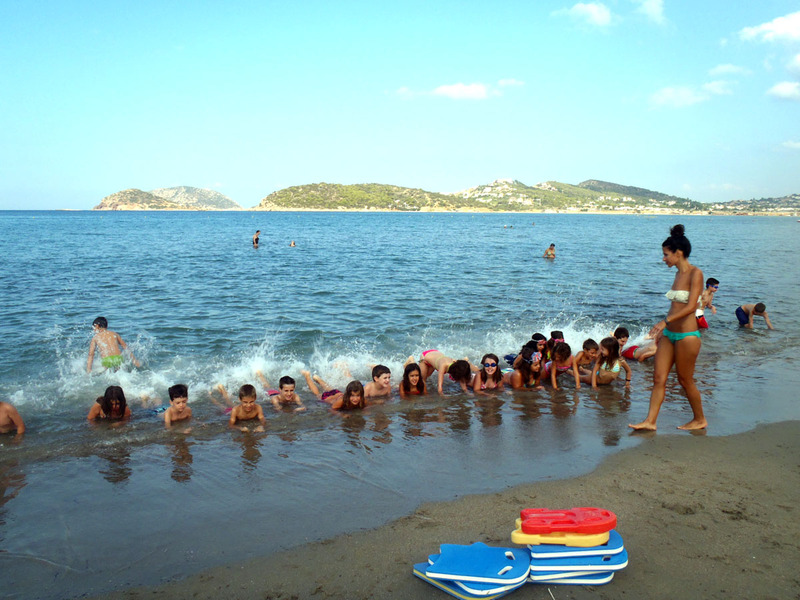 Every day the children go to the closed and sheltered beach of Alykes Anavyssou, where they enjoy entertainment and sports. 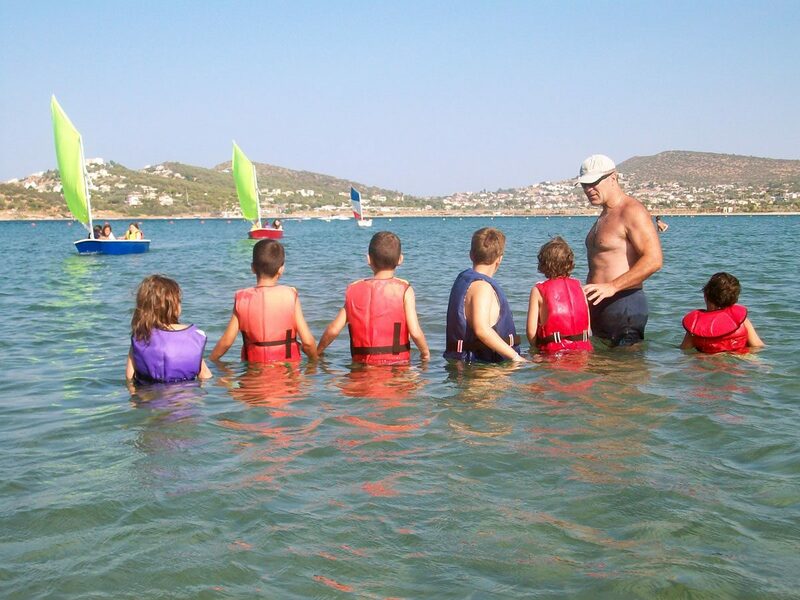 We take care to ensure that, upon their departure from camp, all the children know how to swim or, if already familiar with this sport, have improved their swimming skills. 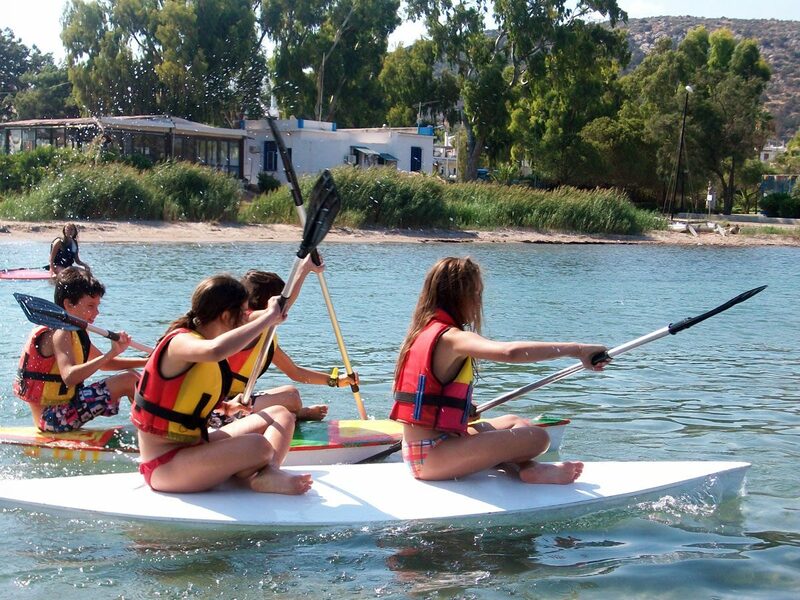 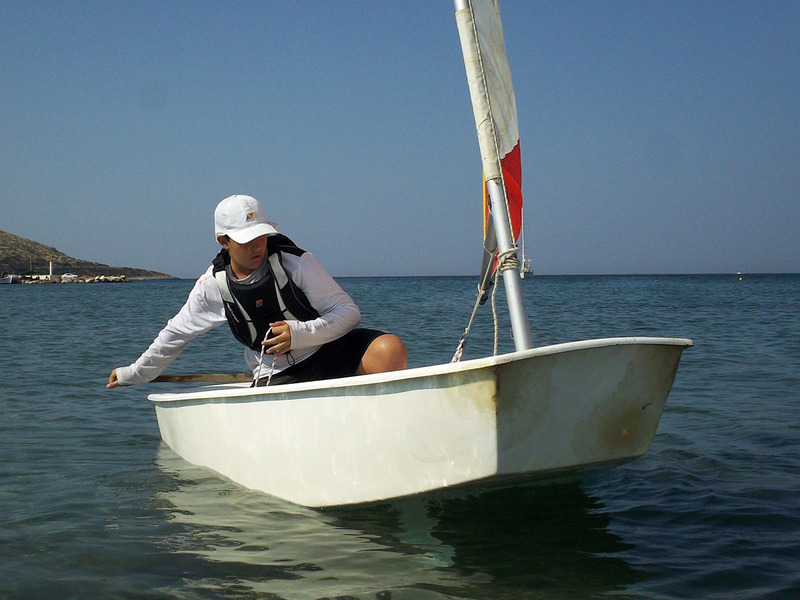 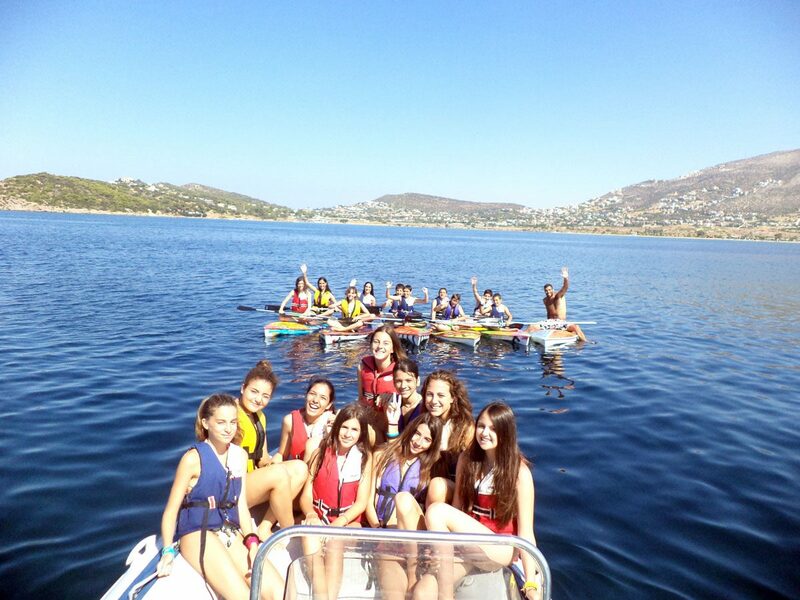 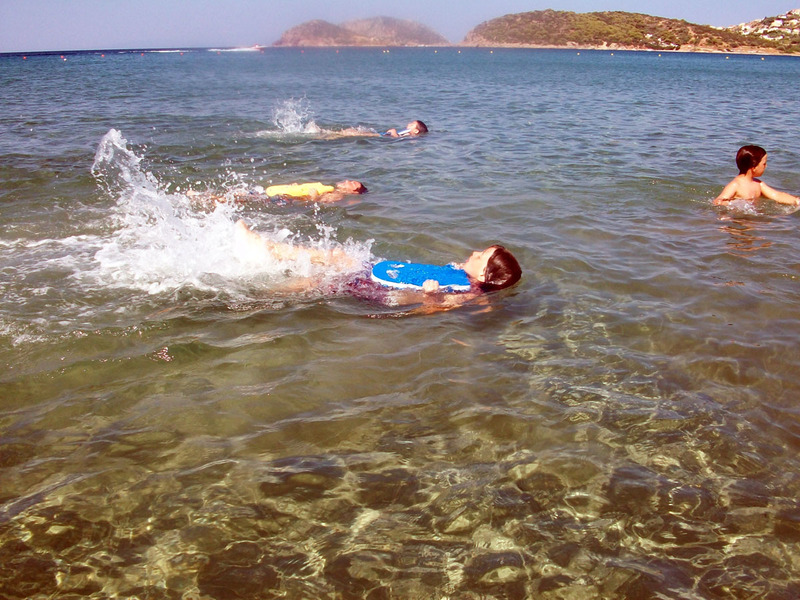 An important part of sea-side activities is dedicated to water sports, where children take their first steps in sailing with “Optimist”-type boats, learn how to row in kayaks. 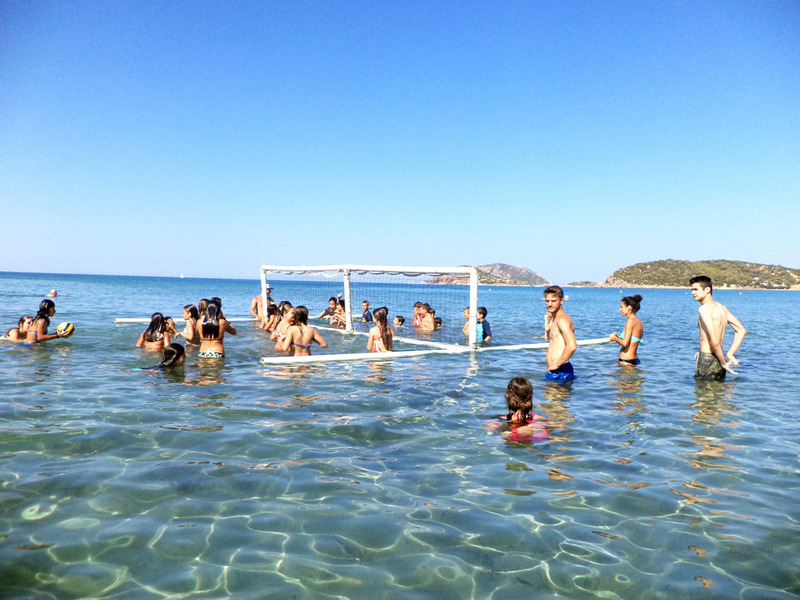 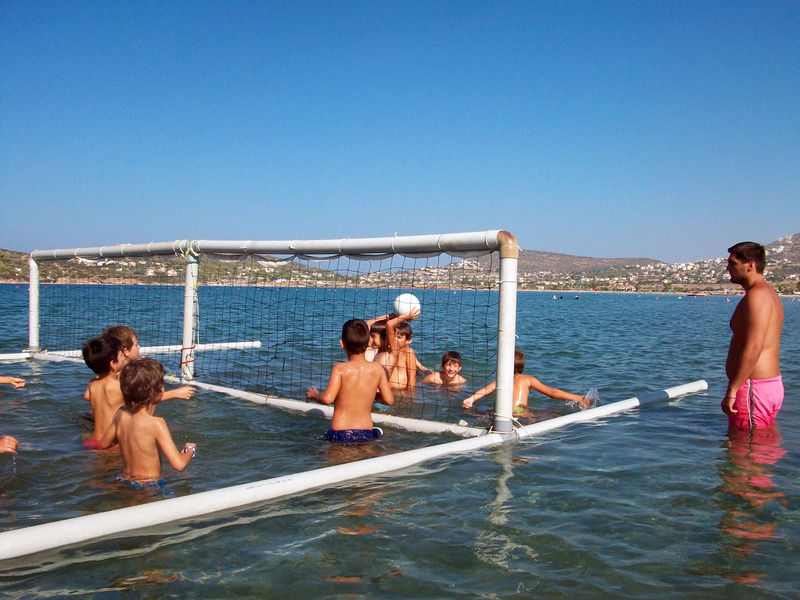 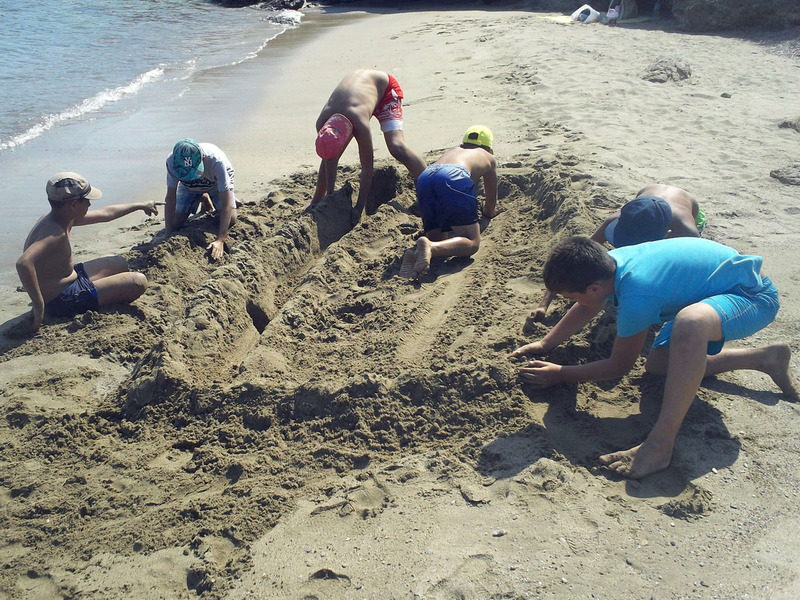 They also enjoy themselves playing beach volley, beach soccer or simply participating in free games.